In order to effectively utilize the backyard space, you will have to visualize the backyard features in a smart way. PHOENIX - Dec. 22, 2016 - PRLog -- If you live in a house, which has a big backyard, but you are interested in utilizing the space in a productive manner or if you are someone who wants to increase the space of the house by including the backyard, following the tips mentioned in this article can help you turn the backyard in a functional area. In order to effectively utilize the backyard space, you will have to visualize the backyard features in a smart way. For example, a designer would view the fence of the backyard as a part of the living space, especially if it is renovated with hanging lights or mirrors on the fence as a rail or support structure to display the best features of the overall space. Likewise, seating area in one of the corners can create a feeling of an outdoor living room. Another example of the smart use of the backyard space can be seen in the mobile homes, which underlines the fact the space of any area can be used, if the owner want to, while the big spaces can be rendered useless, if proper attention is not paid or if the owner lacks the sight to turn it into a productive part. When the name of furniture is mentioned by the designers, most of the homeowners assume a complete set of furniture, while it may apply to the indoor décor; however, when it comes to the décor of the outdoor space, few good pieces of furniture can do the job. For example, one piece of the sofa can be mixed with few of the chairs to increase the seating space of the backyard. 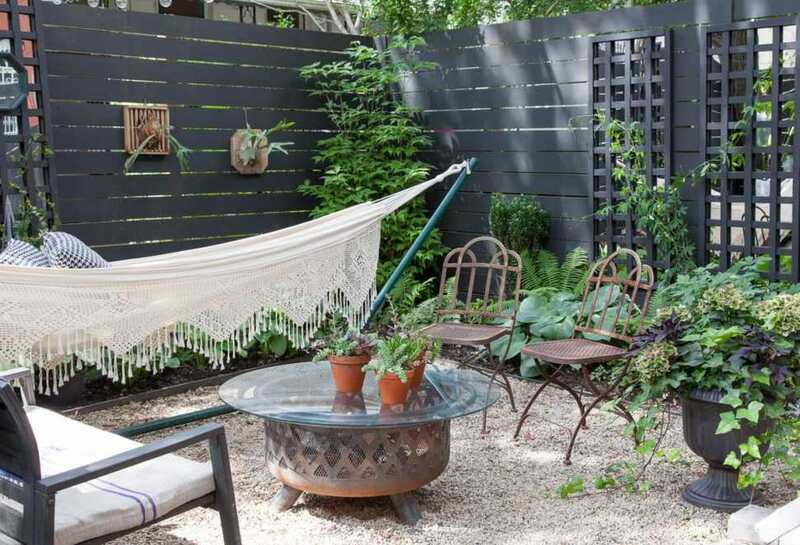 One of the disadvantages of an outdoor setting is that it lacks the strong structures for the purpose of decorating things; however, if you have an aesthetic sense, you can turn the fence into a trellis to decorate the outdoor space and to give a warm and cozy feeling of an indoor setting. Moreover, particular designs of rugs and comfortable seating area can also give a look of the patio. Likewise, if the plantations and flowers are trimmed in such a way that it can add to the overall setting, the patio look could seem quite exquisite. Moreover, particular designs of rugs and comfortable seating area can also give a look of the patio. Even though it is not a popular choice, however, if it is done in a tasteful manner, the outlook of the outdoor can be improved. For example, if one of the back walls of the house is covered with a faux brick panel, another layer of different texture would be added to give a warm feeling one is used to in the indoors. Moreover, the patio looks of the outdoor space will also be facilitated if the faux wall is used on the right side or corner of the backyard. Color combination is another factor that will impact the appeal of the backyard in terms of making it functional for the family and guests. For example, if you choose the monochromatic color palette, it can be coordinated with the furniture or seating area to create a nicely planned décor. Moreover, if you opt for bold colors, it means that the rest of the features in the outdoor should be in light tones to make a balanced impression. Black and white theme of the outdoor area is one of the dominating trends that may give a distinguished appeal to the space. If the space of the backyard is big and after following the above-mentioned tips, you still have space left in the backyard, allotting a dining area for the backyard can also help to add interesting elements to the décor. Moreover, if you arrange big gatherings at home, the guests can be entertained in the outdoor space in addition to providing them a fresh feel. Although adding a water feature in the backyard or lawn is considered as an expensive option, however, if it is done on a limited budget that may give a look of highly maintained backyard or outdoor space. For example, a small size water tank can be used as a fountain for the backyard to make the backyard seem dynamic. Evening gathering requires good lighting in the outdoor space in general and if you want to make the outdoor more inviting, you will have to spend time on choosing the different types of lights to not only brighten the space but to add layering and make it wonderful. Moreover, DIY lighting option is one of the best ways to add a personalized touch; however, if you prefer easy solutions, you could get lanterns and few other types of small lights to complete the look. Few of the cheap decorating ideas for the outdoor spaces include working on the unique bird feeders to not only attract the birds, but it would also serve as a decoration piece for the backyard. Though most of the small pots are hung in the air with the help of a wire or rope, however, if you want to make the feeders attractive for the birds, the feeding containers could be painted with bold colors. In addition, the feeder can be painted with unique patterns to make them look artistic and ethnic as well. In addition, it would make the space livelier.